No trip to California would be complete without taking in the beauty and majestic splendor of Yosemite National Park. 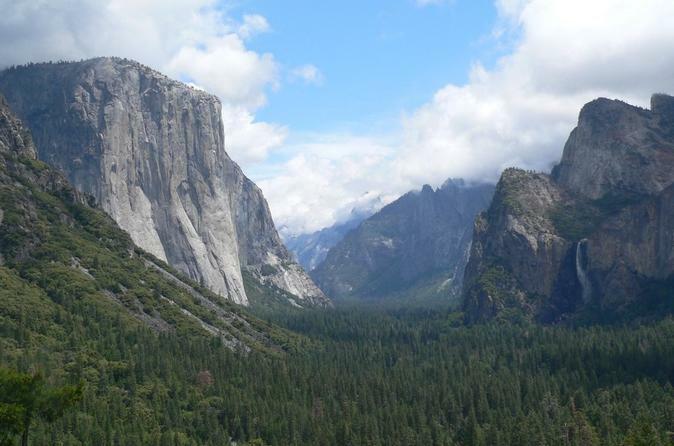 With these hugely popular Yosemite National Park day tours from San Francisco you won’t have to chose between a visit to the city or the country. Opting for a comprehensive, widely-acclaimed Yosemite National Park tour will allow you to experience the best of both worlds in style. Be sure to see our reviews of wine tours to Napa & Sonoma Valley, Muir Woods and Alacatraz tours. We have reviewed the 5 top rated Yosemite tours from San Francisco, providing overviews and highlighting the details of each. We also make recommendations on staying in San Francisco, based on your own preferences and needs. Departure Time: 6 a.m. (approx.) 6 a.m. to 7 a.m. 6:15 a.m. to 7 a.m.
Includes: Hotel pickup and drop-off, transport, all activities, National Park fees, driver/tour guide. This popular, family-friendly day tour is among the best Yosemite tours from San Francisco, offering you the chance to experience one of the nation’s most treasured State Parks. You will see some of the most famous Yosemite landmarks, experience the park close-up and personal with a 1-mile walk and enjoy free-time to wander and relax. The Yosemite day trip from San Francisco begins with hotel pickup or pickup at the Parc 55 Hotel as pre-arranged. You’ll quickly get to know your friendly, informative tour guide driver and fellow travelers onboard a comfortable minivan, as numbers are limited to 15 participants to ensure the highest quality Yosemite National Park tours. En route you’ll have plenty of amazing views to take in, starting with crossing the San Francisco Bay Bridge from where you can experience a panorama encompassing San Francisco, Alcatraz and the Golden Gate Bridge. After crossing the bay you’ll delve into San Joaquin Valley with its many fruit and nut orchards, before making a quick halt for snacks and a brief leg stretch. On arrival at Yosemite via Groveland, your Yosemite National Park tour will begin with a one-mile hike, giving you the opportunity to wander amongst Yosemite’s giant sequoia trees, before traveling on to Yosemite Valley and the incredible Tunnel View vantage point. Have your camera at the ready to capture some of Yosemite’s most spectacular sights such as El Capitan, Half Dome and Bridalveil Fall. Your informative guide, specialized in Yosemite National Park tours, will point out all you need to know and really make your Yosemite National Park tour that bit extra special. Free time for lunch allows you to relax, explore or just soak in the magic of a Yosemite day trip from San Francisco, you’ll feel like you’re a million miles away from the city’s hustle and bustle. The drive back includes another quick stop for refreshments and your 14-hour San Francisco to Yosemite National Park trip ends with a drop-off at your hotel or pick-up location. Departure Points: Union Square, Fisherman’s Wharf, South of Market, Financial District, Chinatown hotels. Departure Time: Between 6 a.m. to 7 a.m.
Includes: Hotel pickup and drop-off (or at Hilton Union Square if your hotel is not listed), expert guide, tour commentary, Yosemite National Park entrance fee, Wi-Fi on board tour vehicle. This spectacular Yosemite day tour from San Francisco will reenergize you with a visit to the Tuolumne Grove containing some of Yosemite’s largest sequoias. 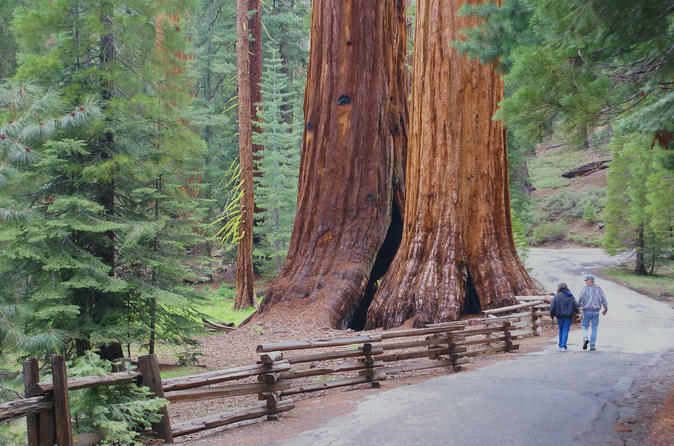 This type of tree, also known as a redwood, includes some of the world’s largest and most long-living trees. There will also be plenty of other famous sights to take in, making this one of the most comprehensive Yosemite tours from San Francisco. After pickup, as prearranged, you will enjoy a comfortable drive to Yosemite, with many sights along the way, including excellent views of San Francisco, Alcatraz and the Golden Gate Bridge from the Bay Bridge. The journey through the Sierra Nevada gold rush towns will be brought to life by your tour guide’s lively commentary, before a late-morning arrival at Yosemite. Weather permitting, a guided walk will allow you to experience the true size and beauty of the sequoia trees, with highlights such as the “Grizzly Giant” and the “Californian Tree Tunnel”. Your Yosemite National Park tour from San Francisco continues with a visit to Inspiration Point, where you will marvel at the vista of the whole valley below. From this vantage point, you can see the famous landmarks Half Dome, El Capitan and Yosemite Falls. To make the most of your Yosemite day trip from San Francisco, you can choose how to spend your lunch break and additional one or one and a half hour’s free time. Whether you opt to picnic or to visit one of the restaurants at Yosemite Lodge (cost not included) you are sure to make the most of the stunningly beautiful scenery before it’s time to head back to San Francisco. Please note that Yosemite National Park tours are subject to change depending upon the weather. The Yosemite Day Trip from San Francisco with Giant Sequoia Visit is best undertaken from May through October to ensure that the trees can be visited. 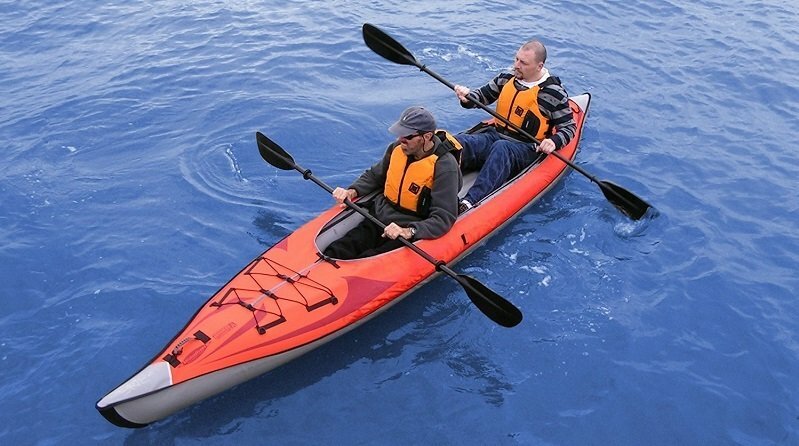 Should weather prevent visits, other activities may be offered as an alternative for your safety and well being. Departure Time: Between 6:15 a.m. to 7 a.m.
Includes: SF hotel pickup and drop-off, National Park entrance fees, bio-fueled mini-coach transportation, tour guide, overnight accommodation at Yosemite Valley Lodge or Cedar Lodge. Experience the true splendor of Yosemite National with this Two Day San Francisco to Yosemite National Park trip, one of the most complete and immersive Yosemite National Park tours available. As this tour is fully-guided you will gain valuable insights into all aspects of the park and the chance to discover all of its most famous landmarks, visiting both the famous Yosemite Valley, as well as discovering areas of the park that lie more further afield. Your Yosemite National Park tour from San Francisco begins with an early departure from your San Francisco hotel on day one. Enjoy the views of the bay from a comfortable mini-coach as you cross the Bay Bridge taking in the vista of the Golden Gate Bridge, Alcatraz and San Francisco, before crossing Central Valley’s orchards, Sierra Nevada and Gold Country. After the journey from San Francisco to Yosemite National Park, you will hike down to the park’s famous giant sequoia trees for a picnic lunch, followed by a fully guided tour through the valley lasting an hour and a half. There will be plenty of opportunities to stop to admire the numerous rock formations and cascades, followed by free time at Yosemite Falls. You’ll be free to choose whether to hike to the base of the falls, to take a trip to the visitor’s center or to go swimming, hiking or biking. In the evening, you’ll head to your accommodation to dine and relax. If you’re staying at Cedar Lodge near to the Merced River you can take a riverside walk or a visit to the pub. There’s also private beach access for guests as well as indoor and outdoor pools and a jacuzzi, so whatever the weather, you’re guaranteed to have a relaxing time. Guests staying at Yosemite Lodge, at the foot of Yosemite Falls, can focus upon enjoying the stunning natural setting and the falls themselves. The lodge provides an ideal place to escape from the stresses of modern living and to reconnect with nature. Wake up refreshed after your overnight stay on your Yosemite National Park tour and get ready for another fun-packed day of discovery with a drive to Glacier Point with its breath-taking views of the Yosemite Valley. Choose to hike back down to the valley or return in the mini-coach and spend the day by the river, relaxing, hiking or biking, it’s your call. On the return trip to San Francisco there will be a stop for food (own expense) and plenty of time to look over your photos of El Captain, Half Dome, Bridalveil Falls, Yosemite Falls and other famous landmarks. Arrival at San Francisco is scheduled around 9 p.m.
Gloves, warm hat & socks. Departure Points/Times: #1. Sheraton Fisherman’s Wharf – 6:20 a.m. #2. Le Meridien – 6:35 a.m. #3. Hilton Union Square – 6:50 a.m. #4. Holiday Inn Civic Center – 7:10 a.m. #5. Dublin BART Station – 7:45 a.m.
Includes: Hotel pickup & drop-off, guide/driver with live commentary, National Park entrance fees, luxury bio-fueled van transport. Taking the Small-Group San Francisco to Yosemite National Park Tour is a fantastic way to get the very most out of your trip to San Francisco. 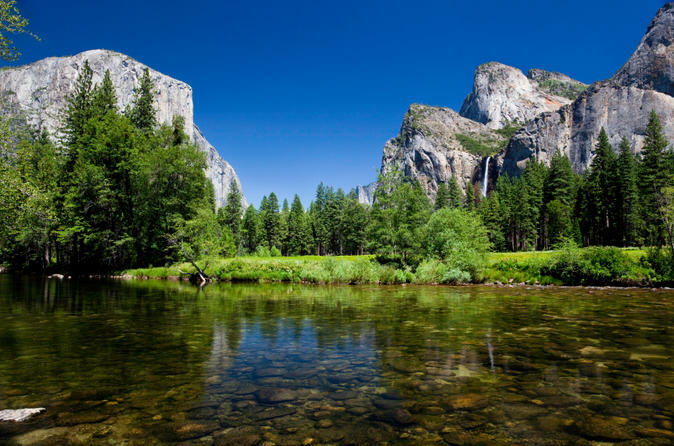 Luxury van transport and an experienced tour guide, alongside three hours free time to explore, make this one of the very best Yosemite National Park tours from San Francisco. Your journey begins in style, crossing the Bay Bridge with its unparalleled panorama of the Golden Gate Bridge, San Francisco and Alcatraz. From the comfort of a luxury 20-seater bio-diesel van you’ll watch the orchards of Central Valley, one of the largest agricultural areas in the country, fly by. After a quick refreshment stop, you’ll continue on through Gold Country and the Sierra Nevada. Once the journey from San Francisco to Yosemite National Park is complete, the visit begins with an hour and a half long guided tour of Yosemite Valley, a fascinating glacier-carved valley, complete with extraordinary rock formations and cascades. There will be multiple occasions for photo stops, especially on arrival at Tunnel View Overlook with its incredible vantage point. The tour pauses for lunch near to the base of Yosemite Falls, the tallest waterfall in North America. Your Yosemite day tour from San Francisco continues after lunch (not provided) at your own pace, with three hours free time to explore the park, take in the many sights, go for a hike or just relax around the visitor center, where there’s a huge amount you can learn about the park’s history, its present and plans for the future. The group reconvenes at a set time for the return journey with a quick refreshment stop halfway. 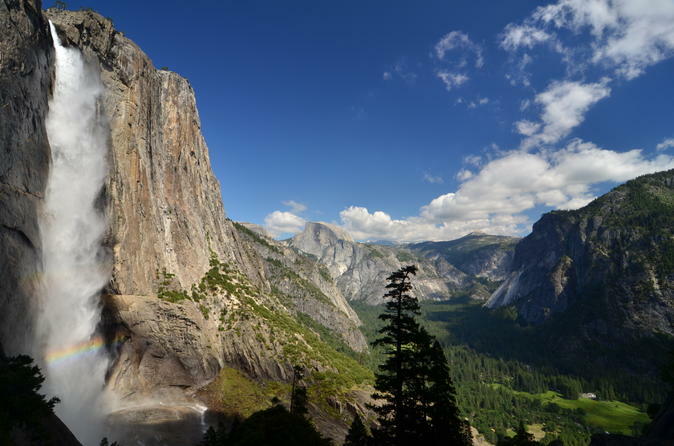 This popular Yosemite day tour from San Francisco strikes a perfect balance with its invaluable and informative guided tour combined with plenty of free time for a personal encounter with the great outdoors. Includes: Hotel pickup, Yosemite National Park entrance fee, transport (in luxury motor-coach with a/c, restroom, Wi-Fi and power outlets), 1 hour guided tour, 3 hours free time at the park. A popular way to relax away from the city, while exploring a national treasure, this Yosemite day trip from San Francisco offers you the flexibility to chose how you spend your day at Yosemite National Park. Your San Francisco to Yosemite National Park trip begins with pickup at your hotel or at the Gray Line Visitor Center, before crossing the San Francisco Oakland Bay Bridge with its stunning views across San Francisco, Alcatraz and the Golden Gate Bridge. As the journey progresses through gold mining country, brought to life by your informative tour guide, you’ll be able to make the most of the Yosemite day trip from San Francisco on board a luxury motor-coach complete with Wi-Fi and air conditioning. Upon arrival at Yosemite you’ll have a total of approximately four hours to spend at the park, with an optional hour-long guided hike to the base of Yosemite Falls. During this free time, you’ll have plenty of options, such as renting a bike, looking around the visitor center, visiting the Ansel Adam’s art gallery or watching handicraft demonstrations at the Indian Village of Ahwahnee. Alternatively, you could choose to go for a walk, take in the sights along the river, picnic or just relax in the great outdoors. Famous landmarks you will see on your Yosemite National Park tour include El Capitan, Bridalveil Falls, Yosemite Falls, Cathedral Spires and Half Dome among others. 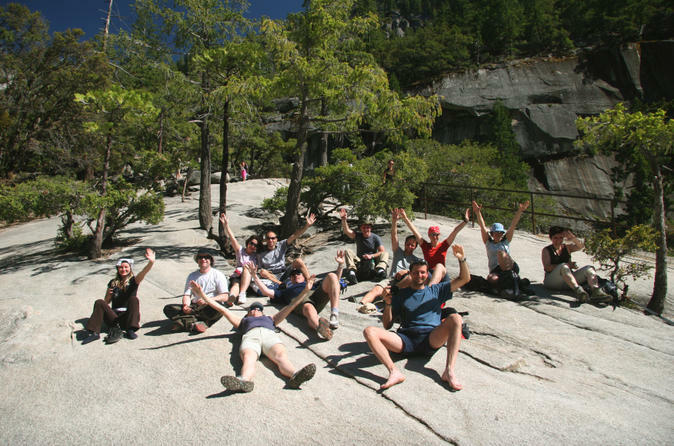 Your Yosemite day tour from San Francisco finishes at 4 p.m. when the group meets up to board the motor-coach and return back to the city. This is undoubtedly one of the most relaxing and flexible day trips to Yosemite from San Francisco, leaving you free to plan your own schedule and to do as little, or as much, as you want. San Francisco center can be easily reached from both San Francisco International Airport (SFO) and Oakland International Airport (OAK). Both airports are served by the BART (Bay Area Rapid Transit) for a quick and inexpensive journey. If you’re flying into SFO, you can also take a SamTrans bus to the city. As with any major city, there are also taxis, ride-shares, private van and shuttle services and limousines available, you can either reserve prior to arrival or on arrival at the dedicated reservation boards in the airport complex. It is also possible to fly into San Jose Airport (SJC), you can then take the Airport Flyer Bus to the Santa Clara Caltrain Station and then the Caltrain directly to stations on either 22nd Street or 4th Street in San Francisco. There are also several shuttle options available run by private companies. Where possible, make reservations and book any tour trips in advance to be sure not to miss out. Pack a windproof jacket and comfortable, durable footwear for exploring the city and any trips further afield. Plan what you really want to see, but don’t make a rigid schedule, you never know what you’ll come across in San Francisco and you’ll definitely want time to relax and enjoy the atmosphere. San Francisco has a huge variety of eateries, whatever your tastes are, you’ll be amazed with the level of quality and choice on offer. Try an authentic Chinese in the oldest Chinatown, taste Sicilian delicacies at Alioto’s #8 on Fisherman’s Wharf or breakfast at the Hollywood Café, there’s an excellent range of cuisines for all occasions. No trip to San Francisco would be complete without a visit to a classic San Francisco deli, such as the popular Molinari’s. Offering great value hearty sandwiches, this traditional-style deli is good for quick, fuss-free food-on-the-go. Relax and wind-down at the Fog Harbor Fish House, on Pier 39 and enjoy fine sustainable seafood with an ocean view that includes the Golden Gate Bridge. Or for that real holiday sensation, tuck into a custom ice cream sandwich at the Baked Bear. Fun and quirky, romantic, fine-dining, cheap and cheerful, there’s an eatery for every occasion in San Francisco. There’s no shortage of good pubs, bars and clubs to visit after a busy day sightseeing. If you’re into beer, you should definitely check out City Beer on Folsom Street for a great selection of local and regional beers for purchase. There’s also a hangout area where the locals gather to chat and try out the latest beers on tap. If you’re looking for an easy going, historical-style bar with great cocktails, try out Twin Peaks Tavern in Castro Street for a relaxed start to the evening. On the entertainment front, you can’t go wrong with a visit to a cabaret show or live music venue. The Speakeasy, 644 Broadway, is a 1920s cabaret show that comes highly recommended, not only for its immersive theater style and the fact you’re encouraged to dress up, but also for its great ambiance. If you’re looking for something more soul searching, check out Biscuits and Blues, one of San Francisco’s premier Blues bars. This Jazz bar features some of the best Blues musicians around and great table service, for an unforgettable evening. Driving in San Francisco can be a real challenge and parking is often expensive and hard to find. So rather than spending precious vacation time searching for parking lots, make the most of Muni, San Francisco’s excellent public transportation system. Purchasing a Muni CityPASS will give you access to unlimited Muni buses, Muni metro, cable cars and San Francisco’s famous historic street cars, saving you time, hassle and money. Any trip to San Francisco wouldn’t be complete without a street car ride, so make travelling around the city’s 49 square miles a central part of your vacation. For information on routes, stops and any other transport related questions, call 511 or use the Munimobile app. CityPASS and regular tickets can be purchased throughout the city. As in any many city, there are plenty of taxi services and ride-sharing options. Taxis can be reserved in advance or hailed directly, if you want to use a ride-sharing service, download the appropriate app and follow the instructions and recommendations. The surrounding area is well served with regular tours that will really help you to make the most of your visit if you want to check out the surrounding area. If, however, you do need to reserve a hire vehicle, you’ll find all major vehicle rental companies represented in or nearby the center. There’s no shortage of places to stay in San Francisco, with accommodation available to suit all tastes and budgets. Hotels range from reasonable 2-stars to lavish 5-stars, check prices, location and availability online to make sure you’re getting one that’s just right for you. If you’re looking for more cost-effective or quirky options why not try one of the many comfortable B&Bs for a chance to get a real feel for the city. There are also numerous hostels, vacation apartments and home rentals. You will seldom be so spoilt for choice! The Metro Hotel is a great friendly place, which won’t blow your budget, while the newly refurbished, luxury Hotel Nikko, near to Union Square has plenty of amenities including a jacuzzi and swimming pool. Temperatures in San Francisco generally range between 40°F and 70°F, with year-round mild weather. With its temperate marine climate, layering clothes is recommended, as is a windbreaker. July through September are the hottest months, with the amount of daily sunshine peaking in July with an average of 14 hours. There’s plenty to see and do in San Francisco. It’s well worth making a list of must-sees, and then factoring in a few optional sights to take in if you can, leaving yourself a little time to relax, browse and explore off the beaten track. Popular must-see sights and activities include: Alcatraz, the Golden Gate Bridge, a trip on a historic cable car, a visit to the oldest China town, shopping in Union Square, exploring North Beach and a visit to see the sea lions at Pier 39 in Fisherman’s Wharf.